Background: After graduating from Valencia Medical School in Spain, Dr Rincon Aznar practised Internal Medicine and started training in General Practice. She achieved her MRCP in Internal Medicine in 2006, and her MRCGP accreditation a year later. As a fully fledged General Practitioner (Family Physician), and with 8 years experience working in the National Health Service of the United Kingdom, she moved to Dubai in 2009 initially working at the American Hospital Dubai as a GP, before moving to work with Mediclinic Middle East at Dubai Mall in 2012. Q: How did your move to the Emirates come about? Blanca Rincon-Aznar: My husband was offered the opportunity to relocate here by his company, so we discussed the possibility for me as well, professionally as well as socially. We thought that the prospect of going on a professional adventure, whilst also getting to know another culture, another society, and another country was attractive. That was our motivation, I didn’t know anyone here before I moved, but I have to say that we settled down quite well from the beginning. Q: What does your job here involve on a day-to-day basis? 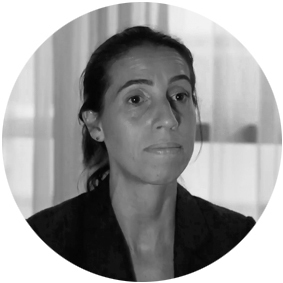 Blanca Rincon-Aznar: As a general physician we treat all different conditions, from paediatrics, to children, to chronic conditions and acute problems. I think that the GP figure also exists in the UAE, so we work in the same way as in the UK. People book to see us with different conditions and then we refer them accordingly to different specialities depending on the problems. In a difference from the UK, this is a private medical health system, so patients choose who they see, they choose me as they don’t have an allocated GP, so they choose the GP that they trust, who they hear is trustworthy, and we build up a relationship. From there on things happen and we have different ways of building a patient list; you have your reputation, people talk and in the end you get the patients from friends and that’s how we kind of build up our own patient list, patients basically choose you as a GP and you treat them the same way as you would in the UK. The same skills, the same patients issues, you use your expertise in the same way. Blanca Rincon-Aznar: I’ve been here for eight years, I trained in the UK so I had a good, solid, basic medical knowledge, so bringing that training here is the base of building a good practice, that’s something that I try to always bring, good medical guidelines, I think that’s important. We’re in a very different culture, you have a team that is built from different nurses, physiotherapists, everyone comes from different backgrounds, so I think we learn from each other. I think I also learn from them, but I think all communication skills, organisation skills, order, obviously guidelines and safety, comes from a solid education in the UK, and I think that should be the base of building a good healthcare practice here in Dubai. Q: What were the biggest changes you noticed? Blanca Rincon-Aznar: Obviously adapting to a private healthcare system is different, in the UK we don’t worry about money, we don’t worry about how much an investigation will cost, you don’t worry if it’s necessary because the patient requires what you have requested. But here you have to think about that. There are some insurance plans that reject investigations, that reject medication, and how you deal with that, how you explain to the patient that you may not be able to prescribe something because your insurance can’t approve it is difficult. We have to do lots of reports to try and justify why we do things. In the UK that’s not so much an issue and I think that’s a challenge. That’s a big hurdle that even now I still think is an issue, and you just have to work with it. You are more independent as a doctor here, you don’t have guidelines that you must follow because that’s the way it is. So you have to use your clinical judgement and your ethics. I have to practice based on these guidelines, I have to be honest with the patient, and that’s another thing that’s sometimes difficult, patients’ expectations, but you have to be strong on your ethical beliefs. Culture is important, and I think that could also be another hurdle. You have to think that patients have different education levels, they come from a different background, different language. I’ve seen Patients from the UAE in the past where you need to introduce a translator in the appointment, so that’s another thing to consider. Lots has changed since I came here though, I use a lot more online or phone consultations. You would never expect to have a conversation on WhatsApp back in Europe - patients here expect to have your phone number, they expect to have your email. They want to email you and say, ‘this is my problem Doctor, what do I do?’ That’s something very different that you have to try to adjust to, how do you manage this? It’s not the same as seeing a patient in your clinic. Getting an email saying ‘Doctor this is my problem what do I do?’ Means that you have to be very careful. Q: Would you recommend a move to Dubai? Blanca Rincon-Aznar: I think this is a great place to come, professionally you have more freedom, I see the patients that I want within my expertise, I choose the time so that means that I can allocate 20 minutes, half an hour, it’s up to me. Obviously this depends on your employer, but at the moment I have the capacity to choose that. In general I have felt more freedom. Again you don’t have the constrictions that I felt when I was working back in the UK before about having to meet targets. You get good remunerations, so that’s also something to consider. You meet other doctors, from other backgrounds and you can learn from them as well. You can build a good team, you can help the nurses, you can train them, and you can create a training atmosphere that’s maybe lacking here, so there’s lots of possibility for teaching and training, and just trying to create a more solid system, so I think that’s another good thing. As for living in Dubai, and living in the UAE, I think we adapted very well from the beginning. It was always a great city; safe, easy to live in, plenty of amenities, you can make good friends here, it’s really nice that people here come from all different countries. Everyone is here for a purpose, so you kind of get together and you end up building good relationships with people, so I think it’s a good place to bring up a family. It’s an amazing place for kids, as a family it’s very safe, there are good educational facilities, and so many things for kids to do, it’s a very kid-oriented city, so I think as a family it’s probably unbeatable. You go back on holidays to Europe, and actually you feel the difference. You are used to lots of things here that you cannot find in other places, so as somewhere to live it’s great. Yes there are things that are more expensive, we have to be honest, there are things that are expensive, but overall I think I’d recommend it. It’s a good experience for a family, to come here, and live in a place like this.